Black ants can invade your home overnight if you’re not careful. These pesky pests are easy to identify. There are a number of ways to kill them, so try to spring into action at the first sighting. Read on to learn about how to get rid of black ants. 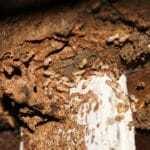 Commercial ant bait: commercial bait can be the most effective killer of black ants. Place the bait near areas where you have seen them. The bait holds poison designed to attract ants who then carry it back to their nest, exposing the others in their colony. 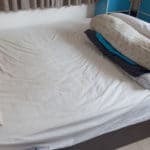 The ants are then gradually eradicated. Just be sure not to employ this method when children and pets are present. Bait traps take longer to take effect than sprays, but they deliver better results in the long run. Clean food out of other areas in your house to ensure that the ants are only attracted to the bait during this time. Pesticide: spraying pesticides will decimate your ant population. After purchasing a formula, mix according to the instructions on the package and pour it into a spray bottle. 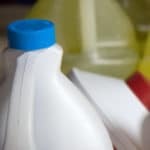 Spray the contents throughout your infested rooms, but be sure that children and pests stay clear of the treated areas. Aerosol spray: this can be applied directly to black ants. Usually available in an indoor formula, aerosol spray is safe for use in kitchens. Spray the infested areas, including cracks and crevices where you’ve seen ants crawl in and out. Black ants die instantly when sprayed, so just sweep up the mess and wipe the treated areas clean if children and pests are nearby. Diatomaceous earth: completely natural, this substance is not harmful to people or pets, but is poisonous to black ants. Diatomaceous earth is made of ground-up fossil pieces that pierce ants’ exoskeletons upon contact. Just sprinkle the powder in the areas in which ants have appeared. Vacuum and replace the diatomaceous earth every other week. Essential oil spray: some essential oils naturally repel insects. Create a spray yourself by combining 10 drops of essential oils with a cup of water. Pour the solution into a spray bottle and apply it to each room in your house. Eucalyptus oil, lemon, tea tree oil, lavender, and peppermint are common–and effective–essential oils to try. Boric acid: this common household powder can be an effective insecticide. Sprinkle the boric acid throughout the edges of infested rooms and the black ants will die as they crawl through it. 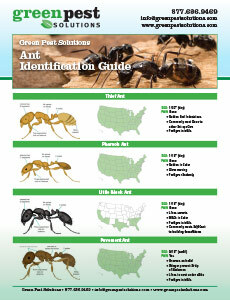 For further assistance in getting rid of black ants, call us at 877-636-9469. 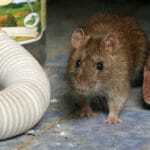 We’re here to help keep your home free of infestations. Call us today for more information about keeping pests at bay—the safe way.